Walking through inner city Sydney recently, the Klaus team noticed several townhouse buildings complete with double garages. Such a shame: if they added car stackers they’d be able to fit an entire extra bedroom into these properties. 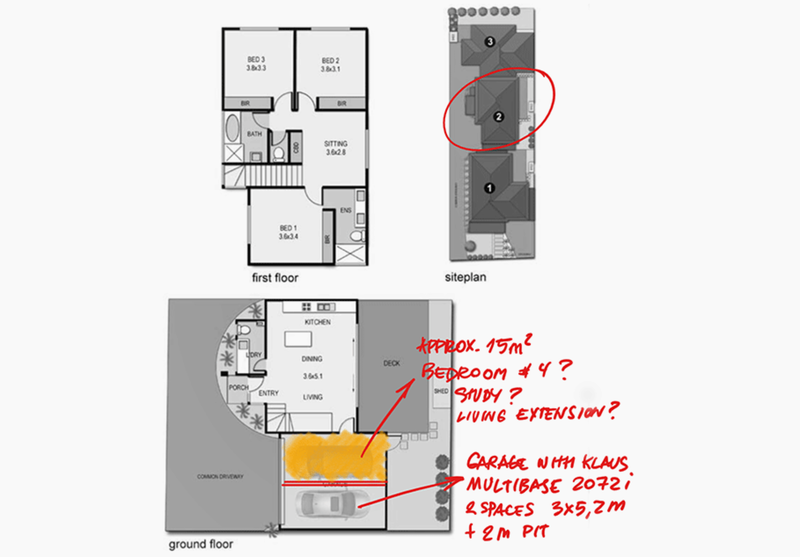 It seems crazy to the team here at Klaus that architects, property developers and builders still use space-consuming double garages in inner-city townhouses and homes, where space is a premium. We’ve seen homeowners in inner-city areas parking on the street so they can use their garage as storage, home gym or simply a place to put their rubbish bins because space is so tight. What does an additional bedroom add in value? We took a look at house prices in inner-city Melbourne and Sydney to see what an extra room is worth. We picked at random two inner city suburbs: Richmond in Melbourne and Paddington in Sydney. What a difference that extra bedroom makes – an extra $410,000 value in Richmond and $900,000 in Paddington! That’s not to mention the additional lifestyle benefits for the owner of having a third bedroom, to use as a study, guest wing, home gym, theatre room, additional storage or kids’ playroom. 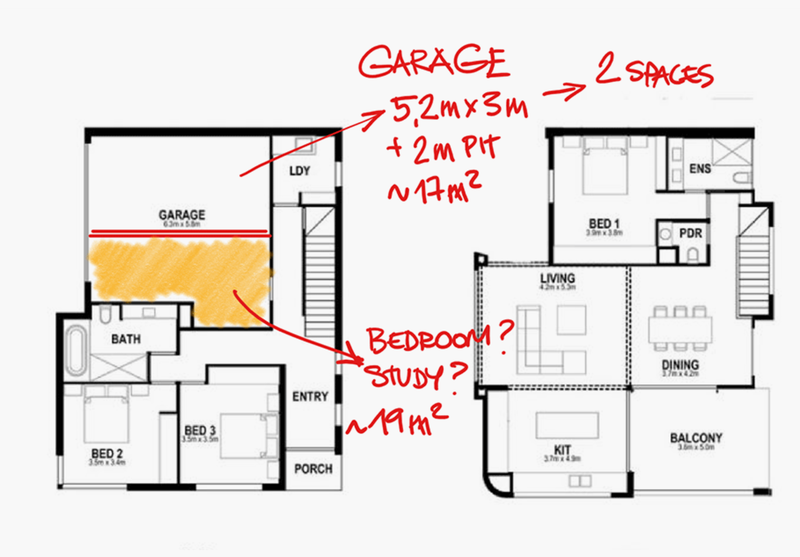 Most Australian building regulations require double garages for properties with three or more bedrooms. So many properties built on smaller blocks waste space with double garages. Car stackers can solve the problem, saving plenty of space while still providing the requisite double parking. Because we’re architects, we couldn’t help but illustrate our point, using examples of typical inner-city property developments. This property has a double garage on the lower floor which can easily be halved with a car stacker. With a two metre pit installed, the stacker can fit into the space, allowing about 19 square metres for an additional bedroom. 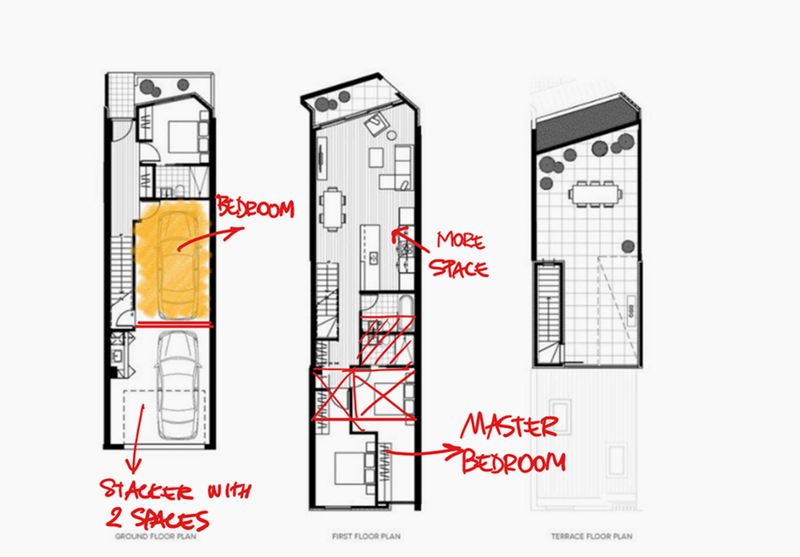 In this example, the parking of the double garage is also halved, allowing for an extra bedroom to move downstairs and a larger master bedroom added upstairs. In this unit, the double garage can be converted to an extra 15 square metres which can be used for a fourth bedroom, study or simply extend the downstairs living area to create a larger space. Car stackers and pits – what does it cost? Prices vary depending on the property but these averages give you a good guide. And for the homeowner, when the property value can increase by hundreds of thousands of dollars, it’s a worthwhile investment. Have we convinced you about the benefits of car stackers in inner-city townhouses? If you’d like to investigate costs for adding a car stacker, contact our team to discuss your options.